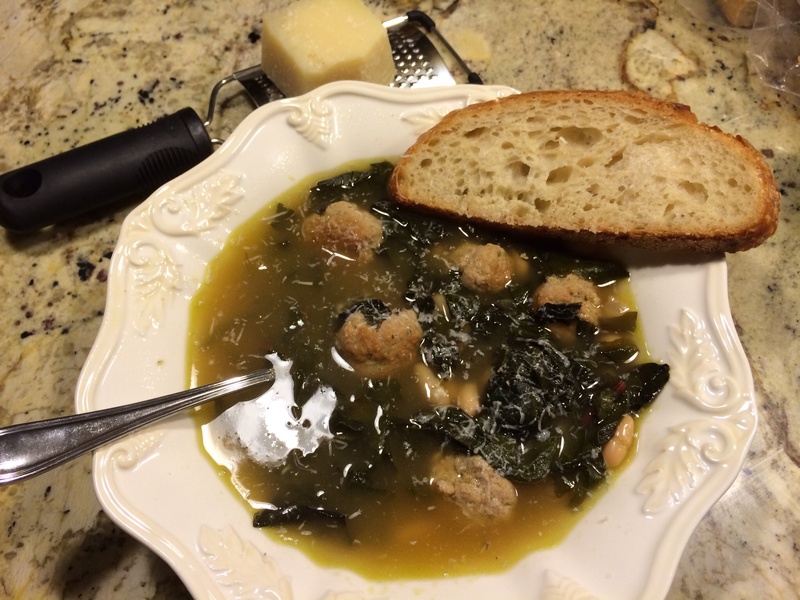 Last night, I made this delicious Swiss Chard Soup with Turkey Meatballs! It was so good that we had the leftovers tonight. Not only is this dish tasty but it’s healthy as well! In a large pot add some extra virgin olive oil and heat on medium heat. Meanwhile, mix meatball mixture in a bowl. I always smell it to make sure I can smell the seasonings and if I need a little more of this or that I add it. When olive oil is heated make little meatballs and put in pot to brown. 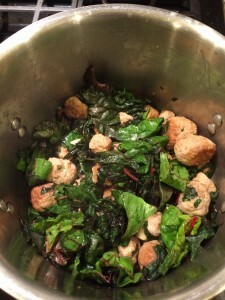 When they are browned but not necessarily cooked completely through add your chopped swiss chard. Take your garlic gloves and smash or chop them and add them to pot. 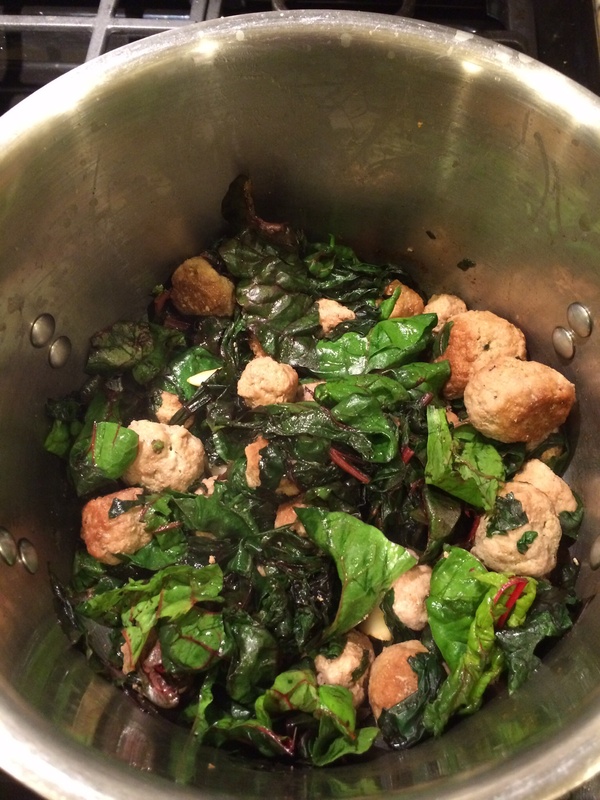 The Swiss Chard will cook down, so don’t be surprised by that. While Chard is cooking down drain and rinse your beans. Then add them to pot and mix. I then add about 4-5 cups of water to the pot. Lower the flame and let it all cook stirring occasionally. I cook it for at least an hour on low. If needed you can add a can of chicken broth but I find that I usually never need it for this recipe. Serve with a piece of Italian bread if you like and top with some grated cheese! Delicious! This entry was posted in Dinners!. ← Roasted Bacon Brussel Sprouts!